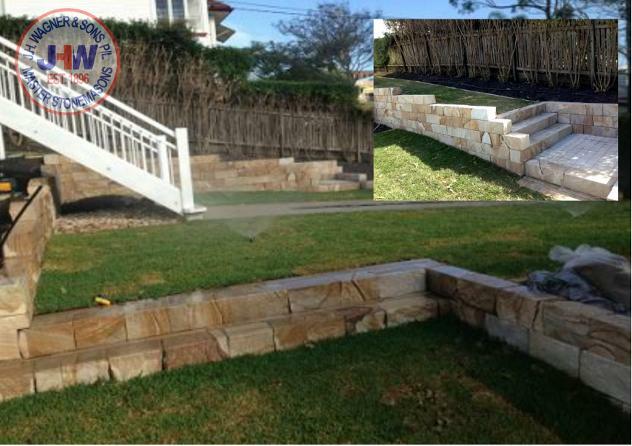 Sandstone Garden Terrace from J.H. Wagner & Sons. Sandstone Garden Terrace from J.H. Wagner & Sons is split squarish log type pieces ideal for use in garden edging and low walls. Garden Terrace is mixed colour Helidon Sandstone with all faces split or quarry finish. Available as random length x approximately 190mm high x 190mm thick and random length x approximately 190mm high x 150mm thick. Sandstone Garden Terrace is just one of the many JHW Helidon Sandstone products ideal for use as garden edging and low walls. Return to Sandstone Products here.